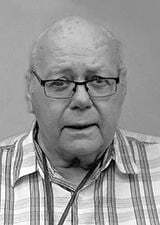 FRANKSVILLE-Richard “Eric” Ericksen, 76, passed away peacefully at Ascension Hospital, Franklin on January 4th, 2019 surrounded by family and friends. He was born in Racine on May 4th, 1942 the son of the late Edvard and Elizabeth (nee: Steiner) Ericksen. Eric was united in marriage to Karen Dugan July 17th, 1965. He attended Horlick High School and graduated in 1960. Eric proudly served in the United States Air Force from 1961 to 1964. Eric was an owner and operator of Ericksen’s Mud Jacking Service, where he was known as “Uncle Mud”. He was employed with Racine County for 25 years. After retiring Eric was employed by Racine County Correctional for seven years. Most of all he found great enjoyment spending time with family and friends. Eric is survived by his wife Karen, three daughters Sandy Ericksen (Mel Sipher), Susan Ericksen (Peter Hennig) and Sonia Ericksen, sister, Sonia Gatzke, brothers, Leo Perfetto and Larry Perfetto, three grandchildren Lauren Schutz, Erica Struble and Cody Struble. He is further survived by nieces, nephews, and other relatives in Racine and Norway. Funeral services will be held at Sturino Funeral Home on Tuesday January 8, 2019 at 7 p.m. concluding with full military honors. Visitation will be held from 5 pm until service time.